‘Closed Circuit‘ is a situation where the actual trailer for the film is far better than the actual movie itself. With what might’ve looked good in a script from writer Steven Knight (Eastern Promises), the execution from director John Crowley made this courtroom thriller a sub-par addition to the genre, and ultimately forgettable. Despite its amazing cast of Eric Bana, Rebecca Hall, and Jim Broadbent, I don’t expect high returns at the box office over the holiday weekend. CLICK HERE TO READ MY ENTIRE REVIEW OF ‘CLOSED CIRCUIT’!! Like I said, this sounds good on paper, but in actuality, is not very suspenseful and is chock full of legal jargon and dull dialogue. There is not one single gun in the movie, and during a seemingly intense chase scene, all of the suspense fizzles quickly. Bana does a decent job here with what he has to work with and Hall really steals the show. 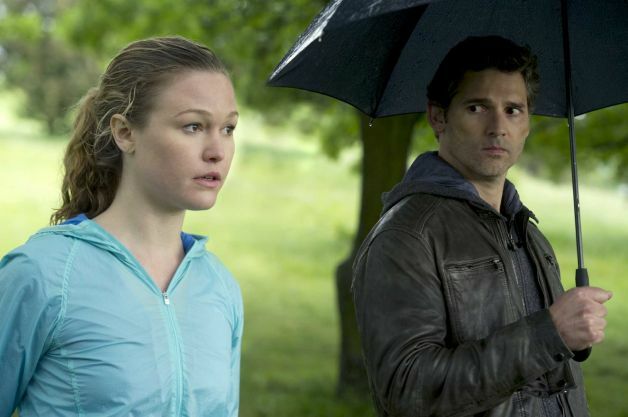 Broadbent and Julia Stiles all turn in solid performances, even if their roles are small. I’d wait for ‘Closed Circuit‘ to hit Netflix before viewing. This entry was posted on Friday, August 30th, 2013 at 11:44 am	and is filed under Film, News. You can follow any responses to this entry through the RSS 2.0 feed. You can skip to the end and leave a response. Pinging is currently not allowed.